Along with the development of staff training among NGOs, both the demand for and supply of training services are increasing.? An effective training programme starts with the needs of the NGOs and their employee, and ends with the successful transfer of knowledge.? The Hong Kong Council of Social Service (HKCSS) conducts the Training Needs Analysis (TNA) bi-annually to provide some information for NGOs to further promote professional training from a developmental perspective. HKCSS conducted the bi-annual TNA survey among the staff of Agency Members during June 2008. Questionnaires were emailed to 350 Agency Members. 372 questionnaires were completed and returned from the 101 participating Agency Members (a 28.9% Agency Member response rate). As with the 2006-2007 survey, the questionnaire this year targeted staff with supervisory and/or managerial duties, and aimed to identify the most important job competencies (drawn from a list of job competency requirements developed from the sector-wide Joint Business Improvement Project). 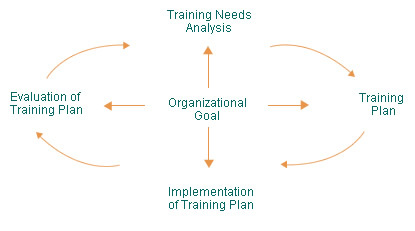 The approach and framework this year followed those used in 2006-2007. Individual based – Data was collected from individual staff of NGOs with an implication that the training courses will be designed for enhancing individual competencies. Framework – The TNA was conducted by survey and adopted the job competency framework.